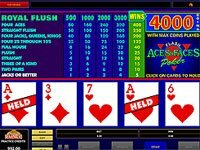 Home Video poker at online casinos Video poker strategies Online video poker. Expert`s advice. 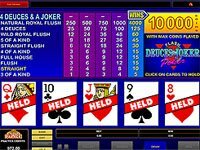 Video poker is one of the most popular gambling machines. Gamblers do love playing video poker. 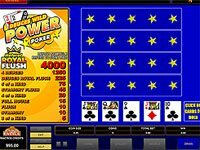 This game combines 5-card draw poker with slot machines gambling. 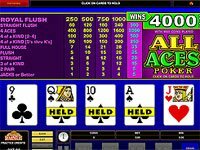 Thus video poker games are great for poker fans who wish to make their favorite game a bit more interesting and faster. 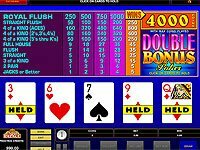 Today we would like to introduce you several important but simple tips for online video poker gamblers. 1) First of all it is important to select video poker variations that have got high pay out percentage. If you do care about your profits from gambling you should be very selective in such moments. 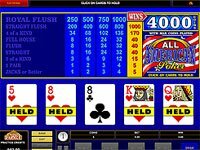 By the way there are more than 10 popular variations of video poker. Unfortunately not all of them offer the same odds. 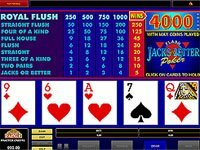 According to the statistics Jacks or Better is the most profitable game to play. 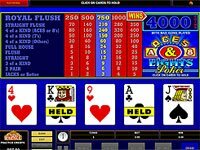 Experienced gamblers say that you should avoid playing video poker slot machines with wild symbols, for instance, Wild Deuces. Surely, such variations of the game are extremely exciting and absolutely unpredictable, but the payout rate is slightly lower. Therefore don’t rely on wild games unless you play video poker for fun. 2) Learn the rules of the selected game. 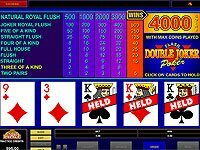 Some video poker variations have got quite complex rules. Therefore you need to spend some time getting to know the rules. It is very important to make sure that you know everything about the game you choose. Otherwise you might miss your chances and make wrong decisions. Thus you should consider playing in practice mode for a while. Why to risk your own money if you can use fun money in the beginning? Most online casinos have got this option. 3) Place max bets. We wish to remind you that the payout rates depend on the bet you place. When you wager max possible amount the biggest potential payout rate increases. 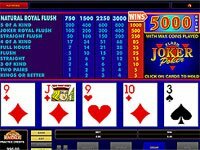 For example if you play progressive online video poker you can hit the jackpot only in case if you bet 5 coins (max possible bet). 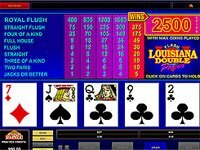 4)Don’t forget that you are playing online video poker, not 5-card draw. 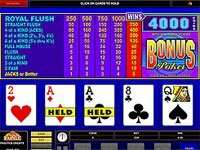 The typical mistake of online video poker gamblers is that they do not separate video poker from 5-card draw. 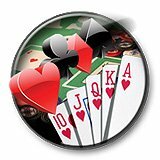 You should remember that such hands as Ace high or small pair do not bring you any winnings! At the same time even mid pair just returns your initial bet. 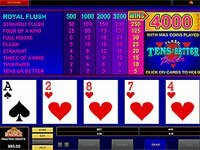 Therefore you should try to collect face card pair and even stronger hands. Thus you should not use the same strategy which would be effective in poker game when you play with your friends. 5) Decide how much money you are ready to spend. When you gamble it is extremely important to stand calm. Don’t lose your concentration; try to stick to the limits you have already set. Thus we advice you to decide before hand how much money you can lose. With such approach you will never lose the money you need for something more important.